Do you hate having to go from one beauty salon to the next when having treatments done? Ever wished you could have everything done under one roof? Well thanks to Chanel Bettison, you can. After travelling overseas, Chanel was inspired by the so-called beauty concept stores she saw abroad, and upon her return, decided to open up her own 360 degree beauty salon. 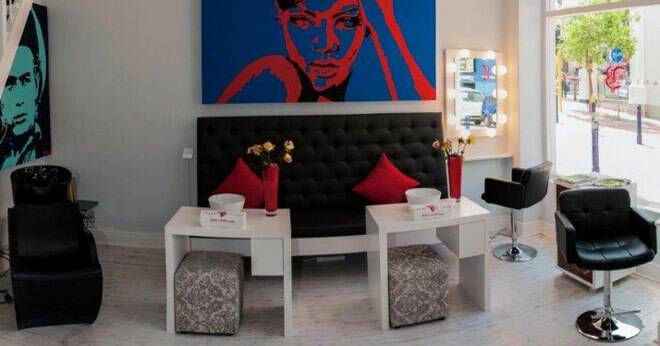 Located on Shortmarket Street in Cape Town, this trendy salon also features gorgeous artwork for sale and pamper packages for bridal parties, matric dances etc. We are giving one lucky reader the chance to experience some of the luxury pampering available at the Chanel Bettison Beauty Concept Store! You and a friend will each be treated to a luxury manicure while sipping on a glass of bubbly. What better way to spend an afternoon? To stand a chance of winning this fantastic prize, simply find the answer to the question below by reading our article here. *Please note that the winner must reside in Cape Town. Name two treatments you can have done at the Chanel Bettison Beauty Concept Store. This competition is open to SA residents only and closes at midnight on 10 February 2014. You may enter as many times as you wish, if you would like to increase your chances of winning. The winners will be drawn from all the correct entrants and notified via email. This prize cannot be exchanged for cash. BeautySouthAfrica.com’s decision is final and no correspondence will be entered into. We will not share your information with any third parties. If winners do not respond to email notification within three days, another winner will be drawn. BeautySouthAfrica.com will supply all hampers to the delivery company in good order, but will not be held liable for the condition of hampers arriving at the winners’ chosen delivery address. Please allow six to eight weeks for delivery. If you have won a prize on BeautySouthAfrica.com in the last two months, you are ineligible to win this competition.